When you sustain serious injuries as a result of a car accident, getting monetary compensation is the last thing on your mind. Taking legal action against the driver responsible for the accident can be an annoyance when you are seriously injured and are only concerned about healing yourself. However, if you sustain serious injuries, you’ll need extensive medical treatments which mean hefty medical bills. Furthermore, you’ll have to get your car repaired which would be costly. Taking legal action can provide you financial relief to cover the medical bills and repair costs of the car. In order to ensure that you get the compensation you deserve, there are certain steps you must take to protect your rights in a car accident. In this post, we’ll highlight those steps. Before you check your car for damage, make sure you or anyone else in your vehicle or the other car isn’t injured. If someone has gotten injured due to the accident, immediately call 911 to get medical assistance. Report the location of the incident. Many people don’t like to involve law enforcers in a car accident, but if you want to protect your legal rights, you must call the police immediately after an accident. Police officers can collect information from witnesses and parties involved in the accident to prepare a police report. The police report serves as evidence about everything that happened in your accident and will be useful when you file a personal injury claim. After an accident, you may feel concerned about other people’s safety. However, you should never apologize to other parties involved in the accident. If you say sorry, it means that you were responsible for the accident. Thus, your right will be severely compromised if you apologize. Even if the accident occurred because of your fault, don’t admit it or discuss it with anyone. 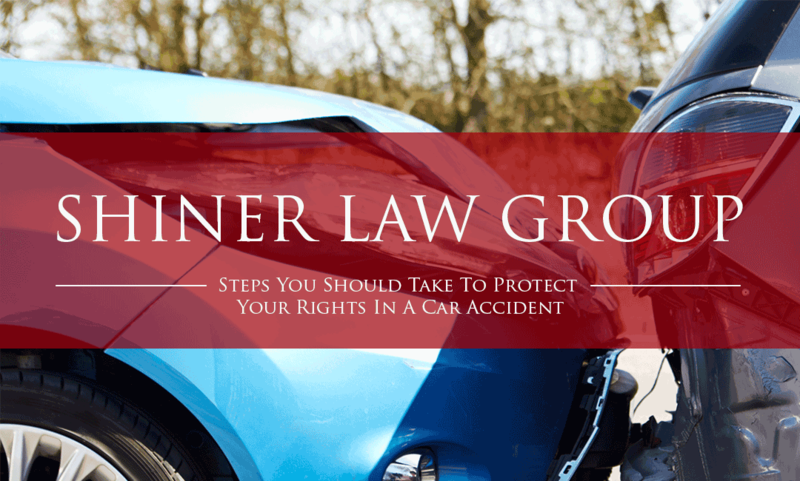 It’s important to get the information of the other driver involved in the accident for coverage claims. Get the name, contact information, driver’s license information and insurance information of the driver involved in the accident. Provide the same information to the other driver. Collecting evidence after a car accident is important as your insurance company will require it when you file a claim. You can collect evidence by talking to witnesses. Ask them if they have witnessed other accidents in the same area. The road where you had an accident may be unsafe if many accidents have occurred there which would mean that you can’t be held liable for the accident. You should collect more evidence by taking pictures of the damage sustained by your vehicle. Photograph your car from different angles and take clear pictures which show the extent of the damage. Find pictures of your vehicle before the accident so that you can prove that the damage indeed resulted from the accident. You may be given medical attention on the scene of the accident or, if your injuries are more serious, you’ll be transported to hospital. Whatever the case, you should seek an initial or follow-up appointment with a doctor. Seeking medical treatment as soon as possible after an accident is important because there might be injures that you aren’t aware of. Furthermore, by getting timely medical treatment, you can protect your legal rights against insurers who argue that since you waited to get medical treatment, you weren’t really inured. Keep record of medical treatments as you’ll need to provide those to the insurance company when you file a personal injury protection (PIP) claim. After an accident, the insurance company of the other driver may contact you. Remember, the real purpose of insurance companies is to make money; they are not interested in paying victims. This means that they’ll try their best to get you into saying things that can be used against you. To achieve this, the insurance company will ask you to tell them the details of the accident. You should tell them that you’ll consult an attorney before discussing the details of the evident. An attorney can help you face these corporate giants and protect your legal rights. Discuss your situation with an experienced attorney and follow their advice to protect your rights. Call your insurance company and provide them a detailed overview of everything that happened. Answer all the questions the insurer asks from you. Don’t lie or misrepresent the facts. If the insurance company finds out that you lied when filing the claim, it will not cover the accident. The insurance company will ask you to provide the name, contact information and the insurance company and policy number of the other driver. The insurer may also require a police report. Collect repair estimate for damage sustained by your vehicle. The insurance company will send a claim adjuster to inspect your vehicle for damage and determine how much you should be paid for the repairs. If you have at least two estimates of your own, you can make a strong argument for the money required for the repairs. Some people like to share all their stories on the social media. However, information about the accident like photographs of the vehicle or the injuries you sustained and how you’re recovering should not be shared on social media. The reason is insurance agents work to capitalize the mistakes of policy holders, so they can potentially use this information against you. You cannot go back in time and prevent the accident from ever occurring. But, you can take these steps to protect your legal rights in a car accident and ensure that your get financial relief for the medical expenses and damage sustained by your vehicle.